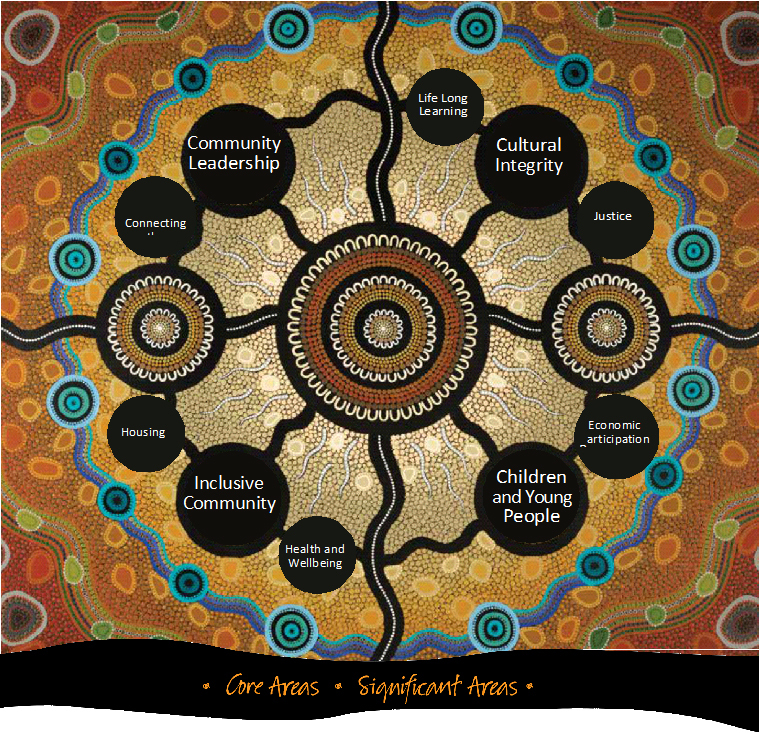 Delivering equitable outcomes for Aboriginal and Torres Strait Islander peoples. The ACT Government acknowledges the Ngunnawal people as traditional custodians of the Canberra region and acknowledges that the region remains a significant meeting place. The ACT Government and community partners are committed to self-determination as the guiding principle in the delivery of programs and services and are working in partnership with Aboriginal and Torres Strait Islander communities to address matters that are important to them. The Agreement recognises Aboriginal and Torres Strait Islander peoples as Australia’s first people. First people have the right to self-determination which is an ongoing process of choice to ensure that Aboriginal and Torres Strait Islander communities are able to meet their social, cultural and economic needs. The ACT Government and the Aboriginal and Torres Strait Islander Elected Body support the Aboriginal and Torres Strait Islander communities in the ACT in actively influencing and participating in social, economic and cultural life. The right to self-determination is based on the simple acknowledgment that Aboriginal and Torres Strait Islander peoples are Australia’s first people, as was recognised by law in the historic Mabo judgement. The Agreement recognises that the land known as the Australian Capital Territory had been occupied, used and enjoyed since time immemorial by Aboriginal peoples in accordance with their traditions. Country is of spiritual, social, historical, cultural and economic importance to Aboriginal peoples and Torres Strait Islanders. Aboriginal and Torres Strait Islander peoples are one with their country. Country enables Aboriginal and Torres Strait Islander peoples to identify who they are, who their families are, who their ancestors are, and their stories. The Agreement enables Aboriginal and Torres Strait Islander peoples to exercise self- determination and have the ability and resources to provide their own solutions, acknowledging that Aboriginal and Torres Strait Islander leadership is central to the process of ensuring the long-term emotional and physical wellbeing of Aboriginal and Torres Strait Islander communities. The Agreement builds on the strength of the previous Agreement (2015—2018) to be accountable to ACT Aboriginal and Torres Strait Islander communities, through the Aboriginal and Torres Strait Islander Elected Body, to provide accessible and equitable services that aim to improve the social, environmental, economic and cultural infrastructures within their communities. The Agreement sets the long term (10 year) direction in Aboriginal and Torres Strait Islander Affairs in the ACT and obligates the signatories to work together to enable equitable outcomes for Aboriginal and Torres Strait Islander peoples in the ACT. The Agreement recognises Aboriginal and Torres Strait Islander peoples as Australia's first people. First people have the right to self-determination, which is an ongoing process of choice to ensure that Aboriginal and Torres Strait Islander communities are able to meet their social, cultural and economic needs. Realising the human rights of ACT Aboriginal Torres Strait Islander peoples: the distinct cultural rights of Aboriginal and Torres Strait Islander peoples are specifically recognised in s.27(2) of the ACT Human Rights Act and public authorities must support the exercise of those rights by the ACT Aboriginal and Torres Strait Islander communities. Increase value for the community. Building relationships increases value for the community, ACT Government and service partners. Continuously improve the level of service delivered to Aboriginal and Torres Strait Islander peoples. Seek and follow up on both positive and negative feedback we receive from Aboriginal and Torres Strait Islander peoples. Implementation of the Agreement will be over four phases, coinciding with the Aboriginal and Torres Strait Islander Elected Body elections. This will allow the incoming Elected Body to work with the ACT Government in setting priorities for the next phase. Two tiers of reporting will support us in monitoring performance against the Agreement. Outcomes Framework will track our performance against the core outcomes identified in the Agreement. Strategic Indicators will be reported to the Aboriginal and Torres Strait Islander Sub Committee of the ACT Strategic Board and made publicly available via an annual statement of performance by the Minister for Aboriginal and Torres Strait Islander Affairs. Focus Area Action Plans will track the work underway to achieve the targets set in the Outcomes Framework. Directorates will report against the actions prescribed as part of their reporting process and will update actions as work progresses towards achieving the 10 year outcomes. Aboriginal and Torres Strait Islander children and young people growing up safely in their families and communities. A society that supports the aspirations of all Aboriginal and Torres Strait Islander peoples and contributes to the building of respectful, fair and sustainable communities. A self-determined and inclusive society where Aboriginal and Torres Strait Islander peoples are valued, respected, and experience a life free of racism and systemic discrimination. Aboriginal and Torres Strait Islander peoples have a strong voice, are decision makers on issues that impact them and lead in the achievement of positive life outcomes. Aboriginal and Torres Strait Islander community members are connected to strong families, and social and support networks building upon the foundation of community leadership. Respect is given to preserving the world’s oldest living cultures which enhances social inclusion and empowers Aboriginal and Torres Strait Islander peoples to fully engage in lifelong learning and positive generational experiences. Equality of access to employment and growth in Aboriginal and Torres Strait Islander businesses and community services organisations which drives economic development across their communities. Aboriginal and Torres Strait Islander peoples have equity in health and wellbeing outcomes as any other members of the community. Aboriginal and Torres Strait Islander peoples have equitable access to affordable, secure and appropriate housing suitable to their needs. Aboriginal and Torres Strait Islander peoples, their families and communities thrive in a safe environment and have equitable access to justice and culturally safe restorative justice, prevention and diversion programs. Leah Brideson is a self-taught Aboriginal artist born in Canberra, and is a descendent of the Kamilaroi people from her Grandmother’s country in Gunnedah, Breeza and Quirindi. She is mother to two young children and also works as an Indigenous Education Officer in ACT public schools, supporting students, teachers, family and community, primarily through the arts. Her pieces are a ‘visual yarn’, providing an opportunity for people to connect with the stories and meaning behind her work. A great deal of her artistic vision and inspiration comes from the changing landscapes in this region. Ms Brideson’s ACT Aboriginal and Torres Strait Islander Agreement artwork is titled ‘Strength in Community’, and depicts the local Aboriginal and Torres Strait Islander community, as represented by the two meeting places next to the centre circle and the ACT Aboriginal and Torres Strait Islander community as represented in the centre. The pathways represent journeys of growth of understanding and the strong relationship building of our families and community. The four outer circles represent the Ngunnawal, Ngarigo, Ngambri and our neighbouring countries and the knowledge they hold, share and bring to our community. The central meeting place symbolises our community working together to build strength in culture, family, identity and community. The outer design represents the local ACT landscape, the connection we have with our land, the importance of caring for country and an acknowledgement of our ancestors who continue to guide us. The painting is rich in the colours of the ACT landscape and the colours of the Aboriginal and Torres Strait Islander flags.